How did our lovely Bijou model go from her BEFORE to her AFTER???? 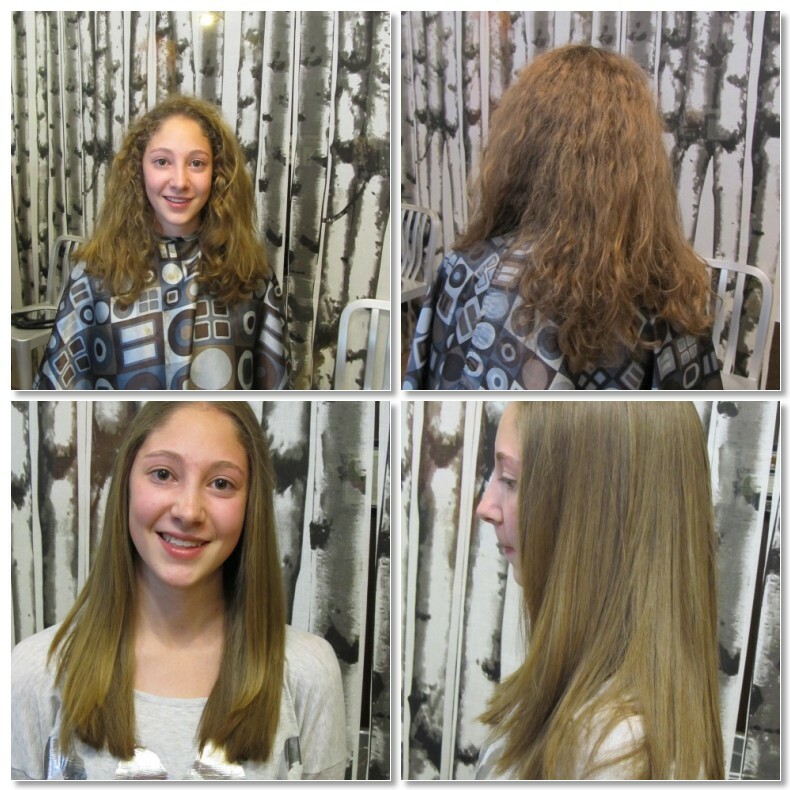 SIMPLY SMOOTH Keratin Treatment...that's how. Keratin treatment is the new buzz word on the streets and in salons. Many of us have struggled with hair that just won't behave due to curl, kink, over processing or simply~age. Keratin is a protein that naturally coats our hair from birth and that over time breaks down which allows splits in the cuticle which leads us all to questions, "Why can't I have hair like when I was young?". There has been some concern over the formaldehyde content in some of the Keratin treatments that were initially introduced to our industry but with our clients and stylists best interests (and health) in mind we did extensive research and found SIMPLY SMOOTH! It is Formaline Free!! (approved by the tough nuts at Health Canada). It is also the highest quality and purest keratin that is more compatible with human hair and actually goes deeper into the hair shaft leaving your hair smoother longer (from 12 to 16 weeks if maintained properly). Vitamin enriched apple pulp is one of the key ingredients, along with two types of keratin, that allows the molecules to sit both inside and outside the cuticle to create greater smoothness. As if that wasn't enough.....SIMPLY SMOOTH also restructures and reconditions hair fiber, adds shine, makes hair stronger and humidity resistant. What more could you ask for!